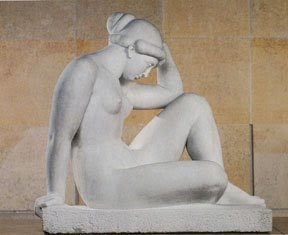 I love this statue by Maillol in the Musee D'Orsay in Paris. My "thought" is that I'd like to interpret it in my own way in class today and perhaps finish one of my paintings. Away we go!